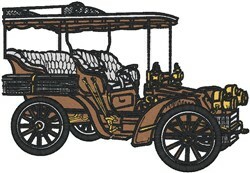 This will be added to the squares I am embroidering using cars as the theme. It is so good for what I am working on. Heavenly Designs is happy to present Antique Car23 machine embroidery design which has 46602 stitches and is [192.00 mm x 133.00 mm] large. If you would like to view more embroidery patterns please search on our embroidery designs page.